Azusa Pacific University sends off their grads in great style. Time to celebrate! I captured this image for APU's marketing by timing it just right for the explosion of streamers and fireworks. Azusa Pacific University does a great job celebrating graduation by gathering them the night before graduation to remind them to be a light to the world. I captured this for APU's marketing with only the candle light as my light source. Had a wonderful time with Maroun this month photographing his senior portrait. I like that he was game to step out of the box and go after a 'high-style' for his portrait. Oh, and a great shout out to his sister, Mary, for wanting to be my assistant for his shoot. Mary, you did great! Congratulations, Maroun! Just recently, I had the pleasure of photographing Luke for his senior portrait. After the formal portraits, we went to another location to capture him and his drum kit. It's been wonderful seeing Luke grow up and seeing his drum skills progress to great heights. I had the pleasure this past week to photograph Alora for her senior portrait. I must say she had fun at the variety of locations we shot at. Had the pleasure to photograph a new addition for the City of Glendora. The Avalon Glendora from Avalon Communities constructed new, upscale housing in Glendora. A new "Wing" to my website! I had the wonder and amazement of photographing these aircraft. I hope you will enjoy the beauty of their forms. If you are interested, these images are for sale. Please email me for information. It's amazing to see the unique beauty of an icicle. I photographed these images up in northern California. Beautiful! Here's a few images I photographed while up in the High Sierras of California for Christmas. Hope you enjoy the views! Last week I was asked by a L.A. radio station to capture their event at Azusa Pacific University. Great speakers and music, and a wonderful audience to be with. What Should I Wear for a Portrait? 1) Wear clothes that complement your hair and skin color. You know what looks best on you, but if you don't know, get a trusted opinion from a friend or someone in a clothing store. 2) Stay away from stripes and logos. Graphic items like those are distracting to the viewer of your image. You want them to remember your face, not your loud clothes. 3) Don't be too revealing. I say that because you want them to remember your face, and not other parts of your body. This is very important for business portraits. 4) Make sure your clothes are pressed and ready to go. 5) Don't put on more makeup than you normally do. Try to keep it light and natural, wear what you wear on a daily basis, or if you like, put on what you would for a casual night out. 6) If you are going to get your hair cut, do it at least one to two weeks prior to your portrait. This will give your hair time to settle and look natural. 7) Get good sleep the night before and drink plenty of water. Why water? Water will hydrate your skin and make it look healthy. Also, it will reduce the inflammation around the eyes. So, don't drink any alcohol or caffeinated beverage the day before, or the day of your portrait. So, What Kind of Camera Should I Get? Well, that depends on a few factors. What do you want to photograph, how much photo gear do you want to carry around, what size and weight do you want it to be, what skill level are you with cameras, and most importantly, how much do you want to spend? I know many people like using their smartphones to take pictures, but the digital age has opened more people up to the idea of getting a better camera that can do more things. 1) What do you want to photograph? Some people want to photograph landscapes, sports, people, macro of flowers, or just everything. Each of those areas require something different in order to obtain the image you are looking for. For landscapes, you will need a camera with a good wide angle lens to capture a wide vista. For sports, you will need a camera with a large enough zoom lens to reach across the field to capture your child on the soccer field. And, don't forget that it will need image stabilization on the lens (you will thank me latter for that). For photographing flowers and small objects, you will need a camera with a very good macro lens to get in really tight and sharp (and don't forget a tripod). For people, a moderate zoom lens, or 50mm lens is what is needed to bring about great portraits. But, if you like to do all the above, then you will need to get a camera that has the same attributes noted above. Some cameras can do that. DSLR's are great because you can change the lenses for whatever you need to do. But know that you will be buying a variety of lenses, and carry around all those lenses with you. There point and shoot cameras that can do a lot of things, but not usually at the quality that a DSLR can. In between the those two segments are "bridge" cameras that fill the space between DSLR's and point and shoots. The nice thing about those bridge cameras is that the lenses are incorporated into the camera. So, you can have a wide and zoom all in one while providing good image quality and little to carry around. 2) How much gear do you want to carry around? This was kind of answered above, but if you are adventurous and want to obtain that perfect image quality, then you may want to carry all the lenses you want. But if not, and you want to enjoy your vacation, get a camera that is an all-in-one like a point and shoot or a bridge camera. 3) What size and weight to you want it to be? Cameras come in all shapes and sizes. Make sure you hold the camera of your choosing in your hand to get a feel of it and to see if you can operate it without shaking. Also, think about how portable do you want it to be. 4) What skill level are you with cameras? How much do you know about photography? Before spending a lot of money a DSLR, you may want to start with a camera that's not too intricate. The goal is to enjoy photography, not to get frustrated with all the buttons and wonder how to get this thing to do what I want it do. Start low and build up. If you want to take the step up to a DSLR, think about renting the camera first to see if you even like it. Samy's Camera has rental departments with top of the line DSLR's to rent. That's a great way to see if you really want to make that big jump up. 5) How much do you want to spend? This factor can range from a few hundred to a couple of thousands…and more! Think about what you want to do and what level you are as a photographer and set a budget from there. Remember, that if you get a DSLR, you will need to factor in the cost of the lenses as well as the camera body. For a great camera review site, check out CNET.com to review cameras of all types. Another great site for really in-depth reviews is DPReview.com. For great prices on cameras, check out Samys.com (click on their Weekly Ad at the top of their website), BHPhotoVideo.com, and Adorama.com. Sam's Club has a variety of cameras for sale, and they also have a great return policy if you don't like it. One last thing, when buying a camera, always look into getting the best type of lens. Some point and shoots, bridge, and DSLR's come with basic lenses. But some come with better optics to create really clear and sharp images. It may cost more, but the results are astounding! So When is the Best Time of Day to Photograph My Child? It's been great photographing portraits of children for my client's, but sometimes what is the best time for the parent is not always the best time for the child. I will always ask parents to plan their portrait after their nap and eating times. That's when children are usually the happiest and adventurous. Take a look at your child's daily behavior. When are they the most lively, and when are they the most fussy. As adults, we can adapt easily to anytime needed for a portrait, but for a child it is very different. Whether if is is for a child's portrait, or a family portrait, try to plan the time schedule around the child's daily pattern for the best results. Now, sometimes that might not be the best for beautiful late afternoon light, but there are times that you can prepare your very young child in advance for that time period by taking the outside at that time to be acquainted to it. So, plan around your child's timeline and see what your child can tolerate ahead of time by doing something with them outside during the preferred time for your upcoming portrait. The importance of images in marketing cannot be overlooked. Whenever you pick up a magazine, it’s the images that make you want to read the story or learn more about the product. Now, it’s not just any image that will do., it’s the “Quality of the Image” that gets noticed in a positive manner. How do you see the light? For those who can, it's more than just opening your eyes. But, as a photographer, or someone learning photography, how do you see the value of light? A lot of times clients will ask me when the best time to photograph outdoors using the sunlight. The common response is in the early morning and late afternoon. And the worst time is known to be between the hours of 10am and 2pm, due to the sun being right overhead and at it's brightest. But is it? I remember a TV meteorologist commenting to the anchor that weather is neither good nor bad, it's just weather. It has different qualities, but we put values on it in terms of how it meets our needs at a given moment. As with sunlight, it has different qualities as well from brightness and intensity, angle, color temperature, and so forth. Each part of the day offers something different. I remember one of my first photography classes started with the assignment of photographing a location at just before sunrise, then multiple times throughout the day, and then finishing just after sunset. The project was meant to train one's eyes to see how light can transform a location's look. The color of the sunlight will range from cold to warm, it's intensity can grow harsh and then soft, and the shadows it produces can be short and curt, to long and dramatic. So, why do I say all this? Well, light is at the core of why photography exist. And light has a variety of values that one must train their eyes in order to properly see. Always be observant to how light is interacting with everything around you. How is it shaping the way you see people, places and things? How is it affecting your emotions? Take the time to look around and see how the sun's light can transform your environment throughout the day. Just this week I had the honor to photograph Claire for her senior portrait. The stormy skies presented a different lighting opportunity that provided subtle tones for a great look. I had such a great time photography this family. At the last minute, the sun broke through the overcast sky and we quickly moved to capture the setting sun for a warm backlight. With no acting or modeling experience, Daniel really acted like a pro to the cues I was giving him verbally. We had a great time on his senior portrait, but most importantly, the family loved the shots of him. 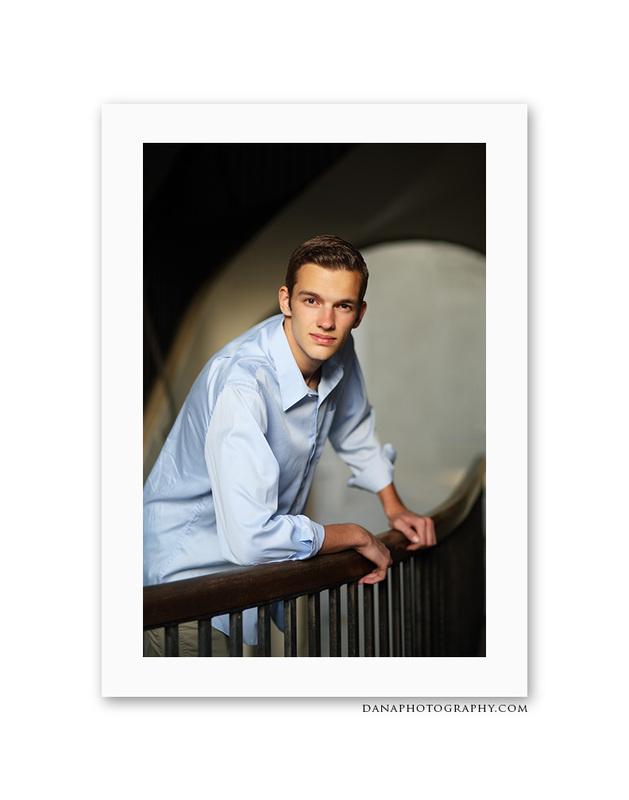 Senior Portrait Special - It's not too late! Not to long ago I was traveling through Maine's coastline and came across this beautiful lighthouse. Not having my camera with me, I shot it with my iPhone. I had someone like it so much that they wanted a print of it. After enlarging the image on it's own, the quality wasn't that great. But with a little Photoshop texture magic you can transform it into a usable image. Ask me how!